Sponsored post, in which I received this product for review. I wasn't compensated and all opinions are 100% my own. I have many little girls on my shopping list this year. I recently posted about SmitCo LLC's wonderful product line of cute girl's gifts. You can check out my review with the savings code HERE. Now, my awesome package has arrived! I have been sent this lovely Girl's Gift to review. I was so impressed with the packaging. The entire gift was sealed in clear plastic to protect the gift. The colors are so bright and vivid! The added sparkly decorations are adorable. Girls just love sparkly things. 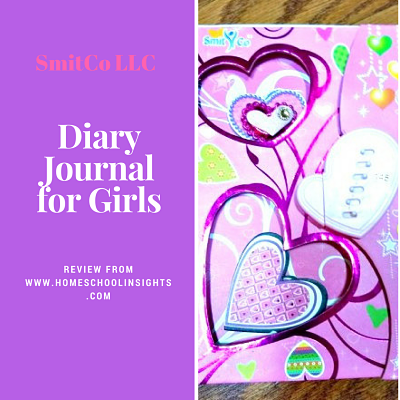 The gift is the SmitCo LLC Diary Journal for Girls . 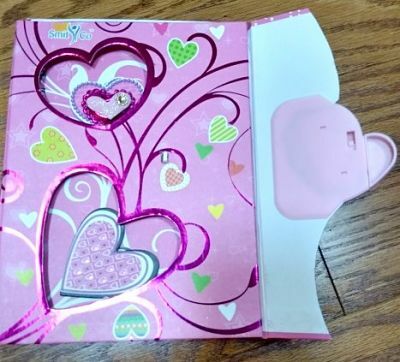 It has a Passcode Lock to keep your young girl's secrets safe from siblings. It's approved for girls ages 5 and over. I love the invisible ink pen! Other great accessories included are the decorative jewels in a heart theme. Girls can stick these anywhere that they like. She'll also love the stickers. 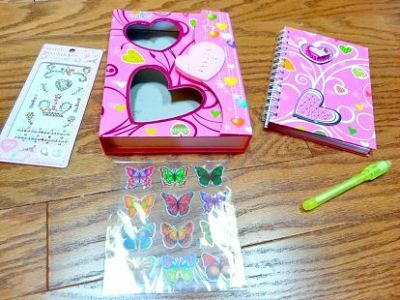 These accessories help girls to personalize their diaries exactly the way they like! What more could a little girl want? This will make a wonderful birthday or Christmas gift, too! Check out all of the wonderful diary HERE . You'll also want to check out everything that SmitCo LLC offers.